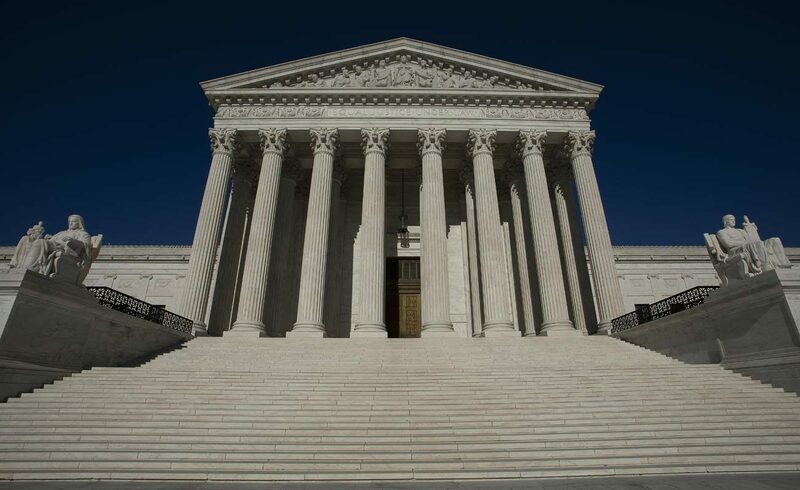 WASHINGTON (CNS) — The U.S. Supreme Court, no stranger to death penalty cases, is looking very narrowly at two aspects of capital punishment this term: if an inmate with dementia should be executed if he has no memory of the crime he committed three decades ago and if a death-row prisoner with a specific health problem can be executed by a less painful manner because of his condition. These two cases “put the unworkability and inhumanity of capital punishment on full display,” said Krisanne Vaillancourt Murphy, executive director of Catholic Mobilizing Network, a group that champions restorative justice and an end to the death penalty. She said state prison systems are increasingly “faced with the question of how to execute people with severe mental and physical health problems” particularly since America’s death-row populations are getting older and the average death-row inmate spends 15 years awaiting execution. “Harsh living conditions, including solitary confinement, only further exacerbate physical and mental illness,” she added. The court heard oral arguments Oct. 2, the second day of its new term, about the pending execution of Vernon Madison, an Alabama man who killed a police officer 30 years ago. He has suffered strokes in recent years that left him blind and with vascular dementia and significant memory loss. He cannot tell what season or day it is, nor does he remember committing the crime. This case, Madison v. Alabama, was argued before eight judges while Justice Brett Kavanaugh’s confirmation was on hold. The court has already held that states may not execute the mentally ill or the intellectually disabled but has not ruled on those with dementia. This case also examines whether someone can be executed if they were mentally capable when they committed the crime but later developed cognitive impairments. During arguments, the judges appeared to lean in Madison’s favor, but this also is a new bench without Justice Anthony Kennedy, who in recent years played a key role in the court’s opposition to the death penalty. He wrote the majority opinion in the court’s 2007 decision saying people who cannot understand their punishments cannot be executed and in its 2005 ruling that juvenile offenders could not be executed. Both decisions had 5-4 votes. Kavanaugh will not vote on the Madison case, but the court could decide to have it retried if it reaches a split vote. But the state saw it differently. Justice Stephen Breyer, who has been the court’s leading death penalty opponent, said Madison’s numerous impairments are not unusual since death-row prisoners are older on average than they used to be and have been awaiting execution for 20 to 40 years. “This will become a more common problem,” Breyer said, adding that a narrow ruling in Madison’s favor might prevent similar cases from flooding the courts. The other death penalty case before the court is Bucklew v. Precythe. Russell Bucklew is on Missouri’s death row for a 1986 murder. He suffers from a rare medical condition that causes blood-filled tumors in his head, neck and throat, which can easily rupture. His attorneys have argued that the state’s lethal injection protocol would be more gruesome and cause more suffering than if he were put to death by lethal gas, which the state does not have the protocol to use. Kavanaugh will hear the oral arguments in this case before the court Nov. 6, but how he will vote on a death penalty case is still pretty much unknown since, as a federal appeals court judge, he rarely heard capital punishment cases. “This added clarity in Catholic teaching is a welcome validation of the church’s pro-life stance. We are called to uphold the sacred dignity of every human person, no matter the harm someone has caused,” she said in an Oct. 9 email to Catholic News Service.